Highland County Job & Family Services Director Katie Adams is pictured. 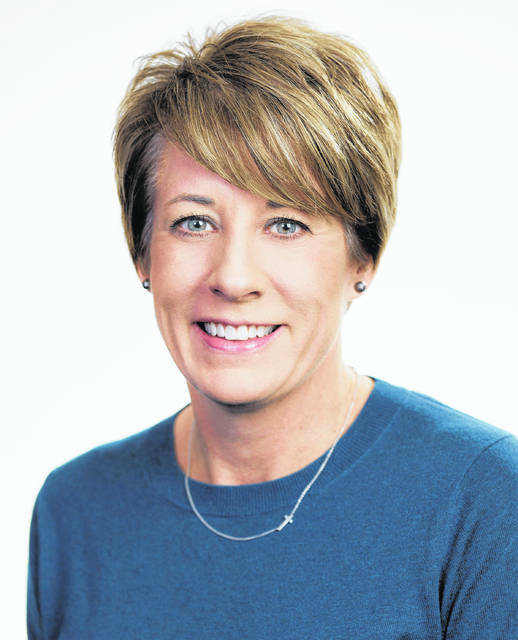 Despite the temporary government funding deal announced Friday by the White House, Highland County Job & Family Services Director Katie Adams advised the more than 3,000 local households receiving food stamp benefits to still keep a watchful eye on what is on their cards and budget wisely. The continuing resolution announced by President Trump Friday will fund the federal government through Feb. 15. She said benefits for the month of February were issued on Jan. 16, and that no one would receive any additional benefits during the month. Adams recommended strongly that individuals receiving benefits know how much is on their card, and with five weeks remaining until March, take that amount and divide by five and prepare to spend up to that amount per week. She dispelled rumors that SNAP recipients had to use their February benefits by a certain date or they would lose them, which she said simply isn’t true. Ohio typically issues the monthly SNAP benefits to recipients on even-numbered days between the second and 20th of the month, she said, and those who are in the program are given an issuance date based on their case number. The Rev. Jim Brock pastors New Beginnings Church in Sugar Tree Ridge, and said it has a truck ministry that gives out free food on the second Thursday of the month. He said the current government uncertainties have had little effect on local food pantries, since their supplies come from supermarket surplus or overruns, items that may have been mislabeled by the manufacturer, or corporate donations. Regarding the announced temporary funding measure, Adams expressed hope that it was a step in the right direction and that customer services through her office would continue uninterrupted.